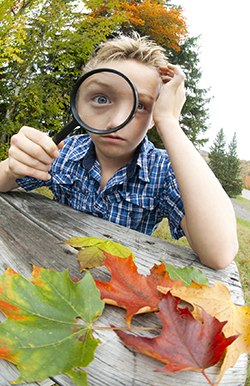 Come let your child experiment with science this fall and have fun learning something new. The Kennedy Center Youth Enrichment Services will be starting a new program in November called Kennedy’s Lab for children with disabilities. This Saturday program for children, teens and young adults, ages 7 to 18, provides an opportunity to socialize, develop new friendships and promote understanding of science through hands-on experiments. The program runs bi- monthly with different topics highlighted each session. In November, Kennedy’s Lab will explore the ups and downs of density and has been named Project Delta. Other themes scheduled for exploration in coming months include chemical reactions, goo and slime, and magic tricks. “Our goal with this program is to make science fun and accessible. Studies continually show how important science is to brain development, engagement, and skill development – and we are excited to bring this program to children with all levels of abilities,” stated Youth Enrichment Service Coordinator Francesca Logan. An intake interview is required for children not currently enrolled in a Kennedy Center program. For children not within the designated age range, please contact Francesca Logan at The Kennedy Center (203-816-7392) or Wilma Harris at WilmaAHarris@gmail.com. “We welcome children of all ages and abilities who could benefit from this hands-on program,” noted Ms. Logan. Participants are requested to pay in advance and reservations will be accepted on a first-come, first-serve basis.